Tip: To make a phonetic search, put "~" sign without quotes in front of desired name. Annual Returns for 2014 are past due. Annual returns for 2015 are now due. The Registrar and staff of the Registry of Companies & Intellectual Property (ROCIP) welcome you to its Online Companies Registration System. We are pleased to be of service to you. ROCIP has the interest of the business community and the general public at heart and will thus strive to ensure that quality service is provided to you in the most efficient and effective way possible. With the assistance of USAID-COTS, this dream has become a reality. 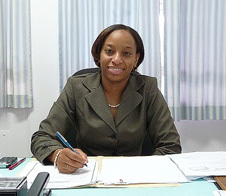 COTS agreed to provide assistance to the Government of Saint Lucia in the area of starting a business which was identified by the World Bank in its 2008/2009 Doing Business Survey as one of the constraints for private sector development in Saint Lucia, thus improving the administrative time requirements and costs of completing the registration process. This web-based Online Company Registration System (OCRS) will facilitate online name searches of companies and business names, company name reservation and registration of business names as well as incorporation of companies. The OCRS will also facilitate the e-filing of post incorporation documents. The new system is also expected to reduce the time it takes to incorporate a company in Saint Lucia to a mimmum of 1-3 days, thus minimizing delay and frustration in getting your companies and business names registered. We are indeed delighted to assist you online and look forward to serving you!